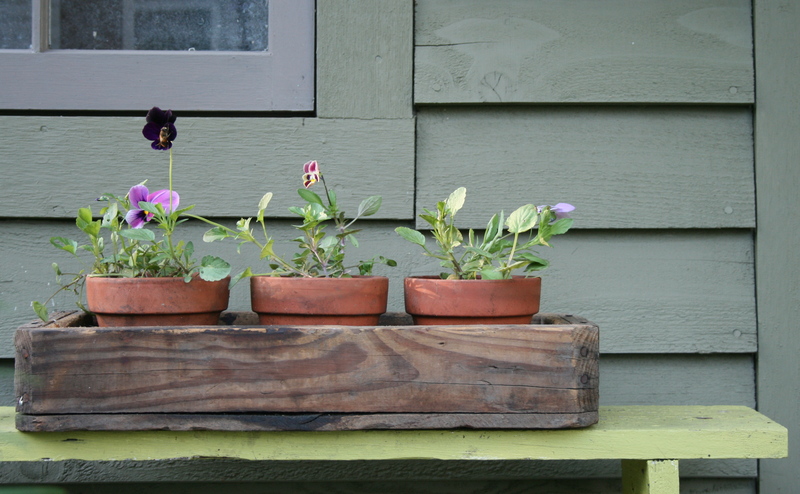 This handmade wooden box is perfect for holding a few pots on the porch of Rabbit Run Cottage. $1.00 at a farm auction last summer! Next Post Inspiration And A Giveaway! Nice catch! I love a good deal! It is perfect for the greenhouse or garden! Maybe I should copy the pattern and make some more! Have a great weekend! I love the stuff that is usually in the cast off pile! Have a wonderful weekend too, garden friend! The sun is out! I’m grateful for sunshine!